You are here: Home > eCommerce Journal > Traffic Test – NFL SUPERBOWL 2009 Championship 4 Club Level Tickets & 5 Nights in BEACH HOUSE – EBAY or BONANZLE ? This is Another edition of Will it Sell? We have not done a head to head comparison like this in awhile... The idea is simple, basically we list the same exact item on two eCommerce platforms to see which gets the most traffic. Ultimately the test is who or where will the item sell the item first? Today in the interest of being topical we are using a special listing as our test case. A 5 - night vacation in Florida including 4 Club Level seats for the 2009 NFL Championship game at Raymond James Stadium in Tampa, Florida - otherwise known as the SUPERBOWL. This year the teams playing will be the Arizona Cardinals vs the Pittsburg Steelers but the winners of this eBay auction or Bonanzle listing will be playing on the sand in Indian Shores, Florida. Why pick eBay and Bonanzle? Well we have accounts at both venues and the last time we did this test it was eBay vs. OnlineAuction.com - eBay won that one hands down. Will eBay outperform Bonanzle? Or visa versa? This will be a short test because the Superbowl is just around the corner - February 1, 2009 and the check in date for the Beach House is January 28th... Better get cracking and sell this puppy. One note - as you can see by the size of this screenshot, many eBay listings become inordinately long. This is due in part to the additional and some say necessary terms and conditions needed in each eBay listing in addition to all the extra eBay display material. Bonanzle keeps it simple, with the content of the listing being the star - not all the rules and conditions and other distractions found in some eBay listings. Again - Click the image below to see the listing live on eBay. Which listing will win? Where will the traffic come from to sell this package? Arizona Cardinals- do you like eBay? Pittsburg Steelers fans - have you ever heard of Bonanzle? I am curious, are you? One more difference I see immediately between the two listings relates to SEO. I am going to list each url as it presents in the address bar for each listing below, which do you think is more search engine friendly? Personally, it seems to be no wonder when you look at the keywords in the Bonanzle URL that my other Bonanzle listings seem to outperform eBay listings in Google search. 0 Responses to Traffic Test – NFL SUPERBOWL 2009 Championship 4 Club Level Tickets & 5 Nights in BEACH HOUSE – EBAY or BONANZLE ? Why not use the same template & text in both, to provide a better comparison? I notice that a lot of the length of the eBay listing is from user-added Terms… and while many eBay sellers may feel all these Terms are necessary, many do not. Since Bonanzle allows html in it’s listings, on your next comparision test, why not use the same html for both? I do agree, however, that eBay does seem to add a full page up top — which is what the shopper sees when they first open the listing. 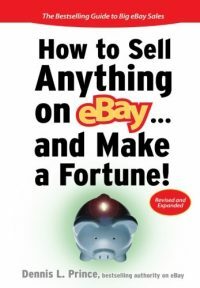 eBay presents stats and data – Bonanzle presents the item to be sold. And I think the overall Bonanzle presentation format is better. That said, I’d still like to see the same user-supplied html used in both listings. True apples-to-apples, head-to-head comparison. I’ll be watching for the results…. While I agree with ecbeauty that having the user-supplied HTML match on both listings would be a truer test, I’ll still be very interested to see how this turns out. Have sold seriously on eBay for 4+ years now, watching for viable alternatives the whole time. To date, no one competes with the traffic-driving engine that is eBay. There is obviously growing momentum, though. Hey dude, love the thought! But I was thinking that the data you get will be totally flawed by the fact that you ran this story BEFORE the data was collected. It is no longer a blind study becuase this story has been posted with links to it?!? You now would really have some unsanitary results since people will be clicking on it from this story and NOT actually be from the buyers interested in said items? I must have misunderstood the purpose of the test. I assumed the intent was to look at the impact of buyer interface – whether it be html design, insanely long TOS, or the never ending eBay junk through out the listing. If the listings were identical what exactly would the comparison be? First, I don’t recall stating this was a “blind” study. I am an Internet marketer and I do nothing that does not attract traffic in some shape or form. That said, I appreciate your honoring this blog with the status that you have to assume it could compete for traffic with the likes of eBay and/or Bonanzle. @ecbeauty is correct, I think it makes no difference for raw traffic hit numbers – whether the html or templates in the listings are similar. It does make a difference regarding buyer behavior once they land on the listing. I did not change the standard template that I use in eBay for this test, the content in the listings is exactly the same less all the eBay terms and conditions in the Bonanzle listing. When I had my eBay Store running the listing template we used placed all of that data under tabs, in effect hiding it from the first view of the visitor, but still available for reference. I recommend this type of listing template to any client I work with. The fact remains however that eBay requires more of this kind of extraneous data from it’s sellers and it adds a boatload of their own links and other data to each page. Too many links is not good for SEO and NON relevant data also is a bad thing in the search engines eyes. In most cases, less than 20% of the content of an eBay listing is devoted to the actual item for sale. I can tell you that at this time, roughly 36 hours after insertion into both selling venues the Bonanzle Listing has over 3 times the visits. The fact that both listings are presented here as a comparison would seem to send nearly equal traffic to each listing from this source. The additional traffic going to the Bonanzle listing must be coming from somewhere else – don’t you think? So I though it was to be real a real numbers game. But my “thinking” gets me in trouble most times anyway so that is nothing new. Yes, I suppose… your confusion is understood. I think that if I had listed only one of the two listings on this site, and then listed the other on one of my other blog properties, then the results would be skewed by the information being blogged about in two different locations. But isn’t this the nature of traffic? We don’t really know who will link to an interesting listing, we can only hope they get picked up through our efforts outside any of these listing venues. 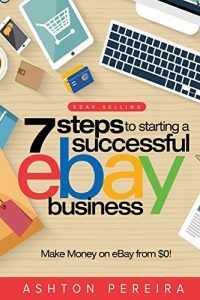 I know you repeat the eBay mantra saying eBay itself is the best place to find traffic… and if that is truly so, how would my presenting the information here change that fact? 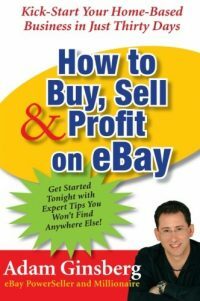 eBay is supposed to bring in buyers all by itself, it is the magnet of the eCommerce shopping electric motor. So… if I drive a few extra hits by writing an article about a head to head traffic test, to either location, how really can I compete with the numbers eBay should already be providing on it’s own? We really have no idea where this SUPERBOWL package deal with 4 club seat tickets and 5 nights in a BEACHFRONT 4 bedroom house will sell from, or where it will be found… The package is listed on Craigslist, Kijji, Oodle, Bonanzle and eBay among other resources. I only presented two of those sources here for the sake of being topical and to get good people like yourself, John… To comment on the process. Very interesting. With I could see the traffic count on Bonanzle listing. Are the numbers close? Bonanzle has bigger pics with a lot less to read. However, if I was spending $17 grand, I’d actually prefer to read the fine print in this case. SEO – I would expect Bonanzle’s URL to outperform eBays. At this time, ecmta came up #1 and myblogutopia was #7.